Hello! I hope your February is off to a great start!? I had a post saved and ready for the end of last month, but it vanished when the server updated the security system. I can’t remember all the details. However, I do remembering mentioning that Vintage Lynchburg is cancelled for 2017 (the owner is taking a break). I loved this event (as I am sure sooooo many of you did too) and will miss it this year, but praying it returns for 2018!!♥. 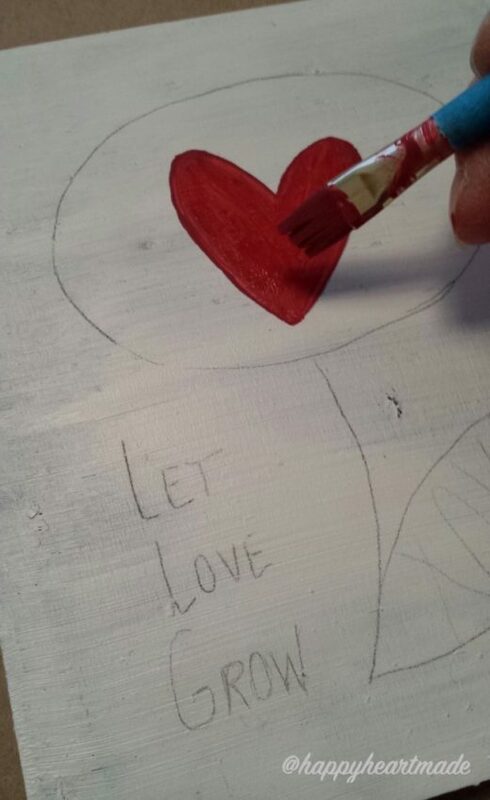 In the meantime, I have other painting projects in the works. Plus, I am glad for the time to work on the next book in the Happy Heart™ series; without the added pressure of such a huge biannual event. Also, I shared a little about the process of making of these sweet hearts! 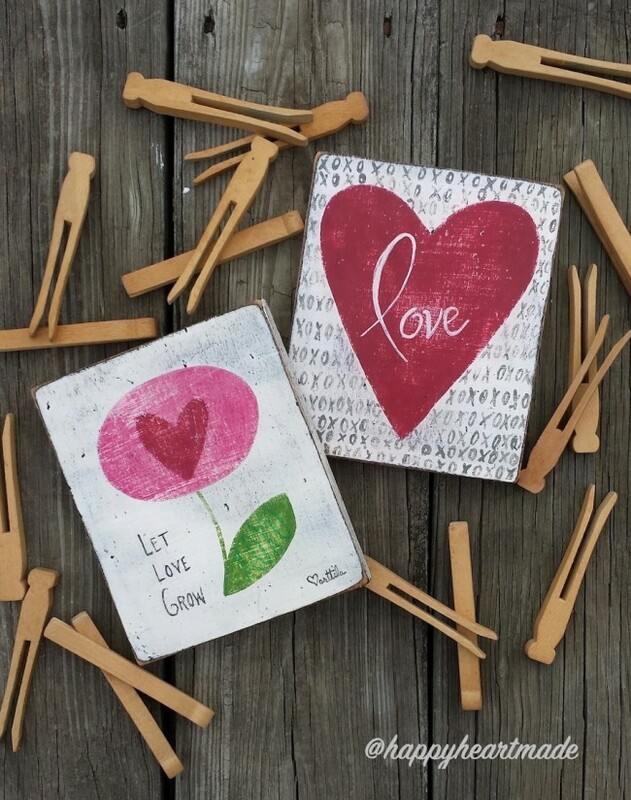 They were fun to make (layers and layers of color)… …and I am glad they have found new homes to encourage and inspire other hearts!! 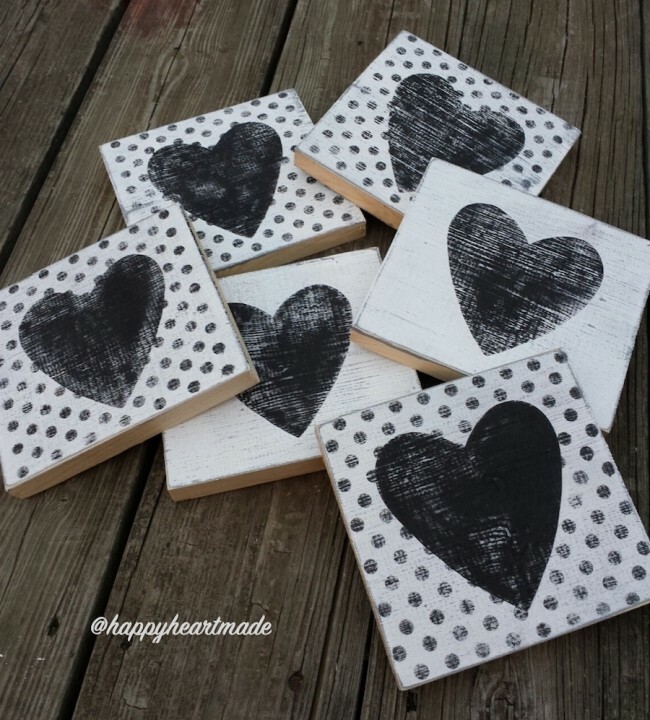 I’m in the process of making these cute little rustic/primitive style hearts (a few more happy vibes to add before they are ready) for the shop. They will be available next week at Happy Heart Made Studio. I always love a challenge and was commissioned to paint a portrait. So I jumped at the chance to use my oil paints on a fun “doggy” portrait. 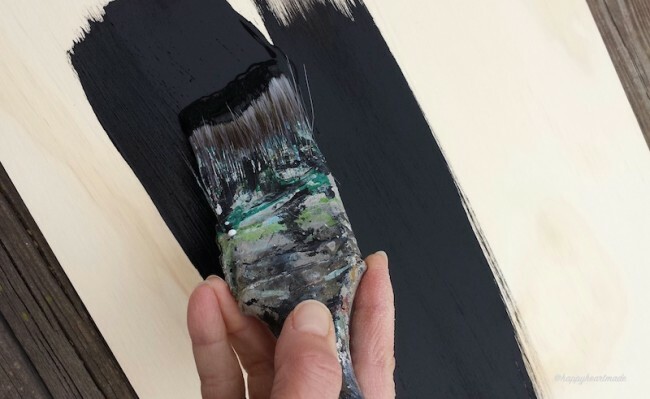 I’ll share the finished piece in my next studio update (just a sneak peek… I still need to let the owner see it first!!). I’ve been trying to be more intentional with making the most of the “time” I have to create each day. 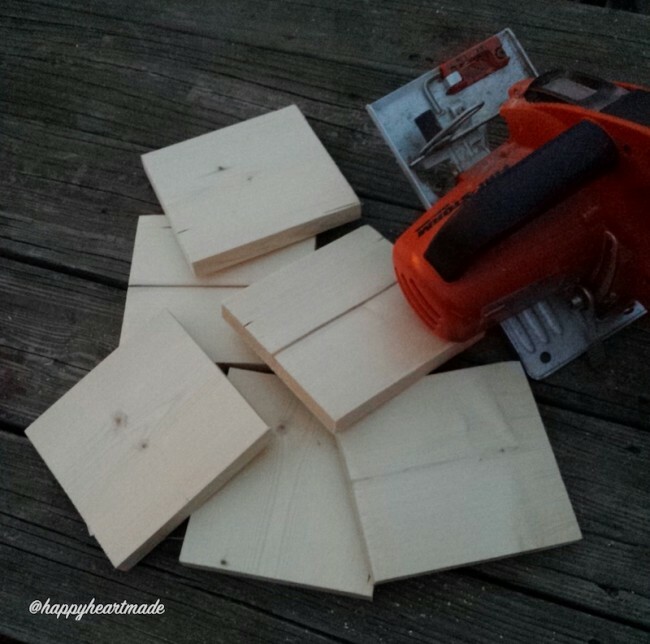 So if I have a few minutes in the morning, I get a few boards cut before heading to the museum. Then, I start painting them at night. 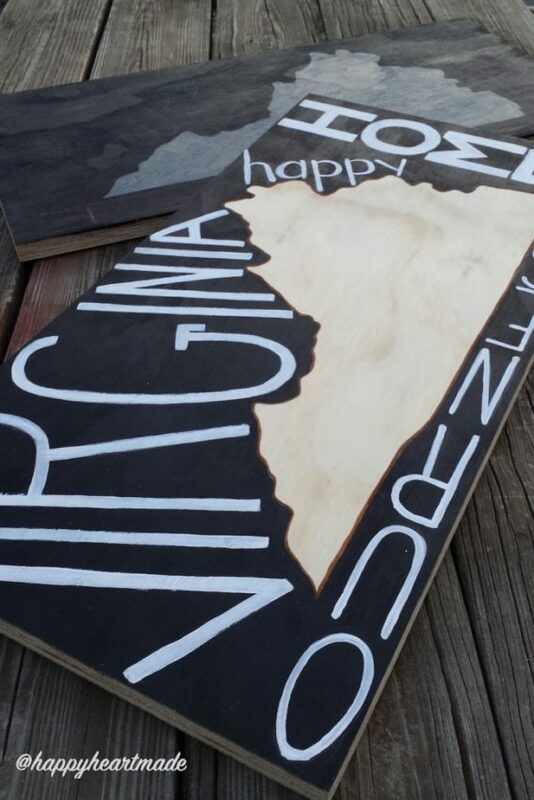 I’m working on a few Virginia pieces that will be heading to Lou’s Antiques in Amherst sometime this month. These need a few more touches before framing. Plus, I have three more to do before sending them on their way. 🙂 Thanks for your support!! If you see something you like in the SHOP, please remember to use code HAPPY17 at checkout and received FREE shipping (on orders $15 and up) until February 14th. Blessings to you all!! I love that Virginia sign! Michelle, love all your signs!!! I can’t wait to see the dog painting when it’s all done, no doubt the person commissioning the work will love it, looks great so far. Have a great week!! 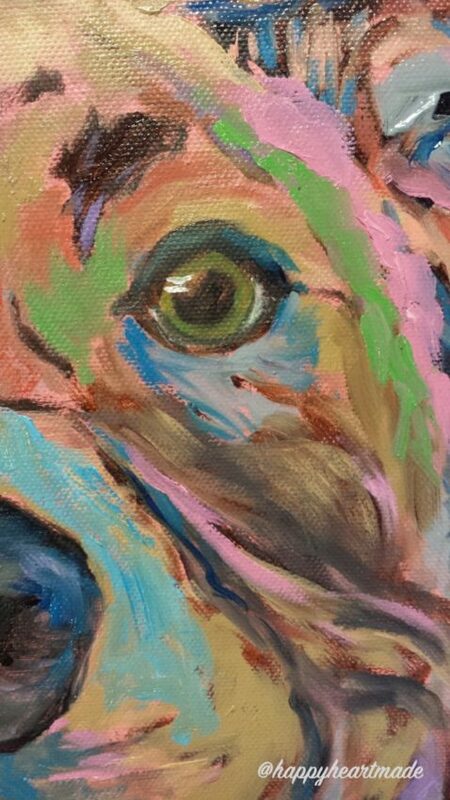 Michelle that is such a pretty doggie eye I spotted in your painting. It draws you right in. Your hearts also have lots of depth to them and it is nice that they will go to good homes. Stay Inspired Michelle that is always a good thing.